After a barrage of leaks and speculations surrounding its next Mi-series flagship, Xiaomi has today officially confirmed that the Mi 8 smartphone will be launched on May 31. 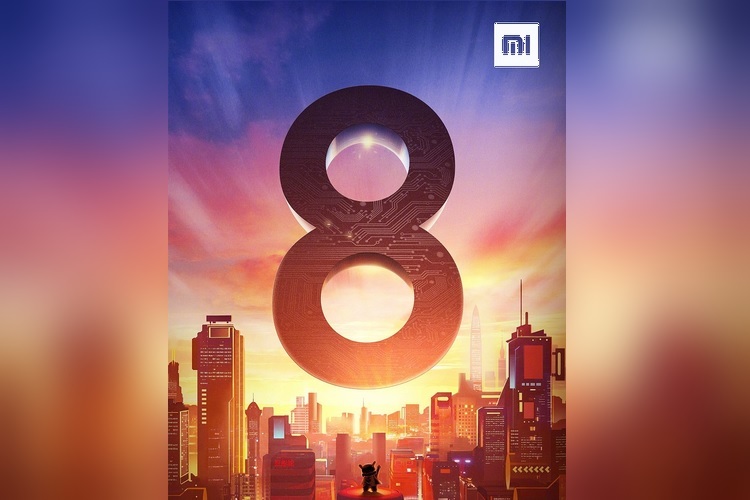 Xiaomi’s Global Spokesperson, Donovan Sung, recently tweeted that the next Mi flagship, dubbed the Mi 8, will be unveiled at the company’s annual flagship product launch event at the end of May. Xiaomi’s last Mi-series flagship was the Mi 6, but the company is skipping one number to call its upcoming flagship Mi 8 or Mi 8 Anniversary Edition, to coincide with the company’s eighth anniversary. Incidentally, eight is regarded as the luckiest number in Chinese culture, which could also be why Xiaomi has skipped the MI 7 name. The Mi 8 recently received certification from China’s 3C (China Compulsory Certification) and the US FCC (Federal Communications Commission), which was a clear indication that the device will soon hit the market. Interestingly, two versions of the Mi 8 were spotted on the 3C website carrying model numbers M1805E2Aand M1803E1A, with support for 5V/3A, 9V/2A and 12V/1.5A charging standards mentioned in the website’s database. Moreover, a recently leaked video revealed that the Mi 8 might also feature an under display fingerprint sensor and showed the authentication feature in action, which looks similar to the Vivo X20 UD and the Huawei Porsche Design Mate RS. As for the internal hardware, the Mi 8 is rumored to come equipped with the Snapdragon 845 SoC, at least 6GB of RAM, a 4,000 mAh battery and support for wireless fast charging technology.